Philip Kithil, CEO. Mr. Kithil is inventor of the wave-energy system and is founder, Chairman & CEO of Atmocean, Inc., formed to commercialize the invention. Kithil has his B.A. in Economics from Middlebury College, VT (1965), and M.S.B.A. in Economics from University of Denver (1971). He has successfully founded six startups since 1972, in apparel manufacturing & retailing, economic consulting, advertising, association management & public relations, automotive safety, and now renewable marine energy. In the automotive safety technology business which he founded, Kithil was inventor on thirteen issued U.S. and international patents. Between founding the company in 1994 and 2003, he successfully licensed ASCI’s intellectual property to six automotive tier one suppliers, then in 2004 sold the patent portfolio to Methode Electronics, Inc.
Philip Fullam, Chief Consulting Engineer. 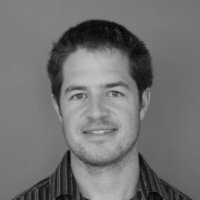 Mr. Fullam is currently employed as Chief Engineer for Reytek, Inc., a strategic partner of Atmocean based in Albuquerque. Reytek is a design-engineering-fabrication business specializing in sheet metal and stainless steel products, and electromechanical manufacturing equipment.Mr. 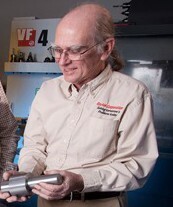 Fullam obtained his engineering degree from Stevens Institute of Technology, and then held various engineering positions at Yellowsprings Instrument Company, and Los Alamos Diagnostics, before founding his consulting company New Venture Engineering, Inc. in 1988. In this activity, he gained extensive experience in materials engineering, manufacturing process engineering, CAD/CAM, as well as business development. In 1994 Fullam began consulting for Kithil/ASCI and he was instrumental in the product development and testing which ultimately led to successful licensing and sale of the ASCI patent portfolio. 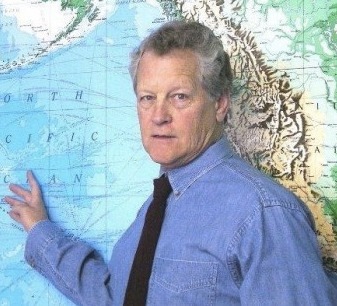 Mr. Fullam has participated in ocean testing of the Atmocean wave-energy system; conducted tank testing of 1/20th scale models; performed computational fluid dynamics modeling to ascertain probable output of an array; and produced production CAD drawings. Christopher White, Chief Operating Officer. Mr. White holds a BS from the University of British Columbia and a MSc from the University of Amsterdam in Oceanography and Limnology. While working on various research topics ranging from coral reef ecology to feed within aquaculture, he maintains a emergency medical technician intermediate license as well as a PADI dive master accreditation. Mr. White began with Atmocean in 2009, when he represented the company at the Copenhagen Climate exchange. He has additionally represented Atmocean to various interested parties throughout the Caribbean and South America. Given his previous time living and working in Peru conducting ecological surveys along the coast and knowledge of the Spanish language, he plays a valuable role as COO in Latin America. While highlighting the core of our team, we have multiple other industry partners, investors, manufacturers, contractors, and volunteers that have come together to make this wave energy technology feasible. If you too would like to get involved, we encourage you to visit our “Getting Involved” page.